A year ago today, a bunch of Asian American guys who happened to be dads—or a bunch of dads who happened to be Asian American—dubbed themselves the "Rice Daddies" and started the blog you're reading right now. We wanted a place where we could write about being dads, and what it meant to be Asian American dads raising a new generation of Asian American kids. Over the past 12 months, we've been funny, we've been serious, we've been sappy, we've been controversial—new dads have joined us to tell their stories, and you, our readers, have been here to read and comment and listen and talk back. Like a dad of a newborn, we didn't always think we'd make it through the first year, but we did—we're here, still kicking, and ready to keep embarrassing our kids and partners for another 12 months and beyond. To celebrate our first blogaversary, we're having a contest. 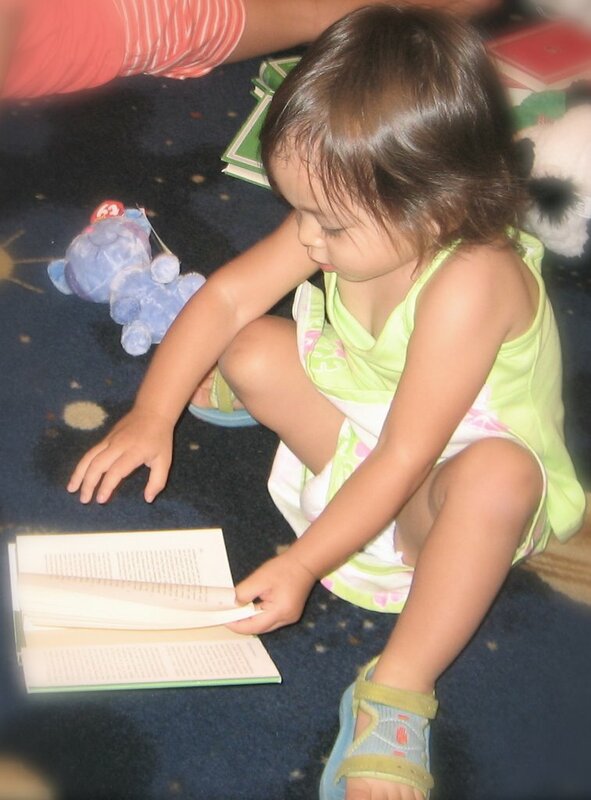 Send us a review of your favorite book from your own childhood that you want to share (or have already shared) with your own kid(s) and we'll publish them as we get them. Each reviewer [you can submit more than one review, but you'll only be entered once] will be entered into a random drawing for a chance to win some awesome books from Kane/Miller Book Publishers. With the motto "open-minded books opening young minds to the world," Kane/Miller has been bringing acclaimed international children's books, often in translation, to a U.S. audience for years. You probably know them for such classics as Japanese author/illustrator Taro Gomi's "Everyone Poops," and they have titles from countries on every continent except Antarctica. We're pleased to partner with Kane/Miller to provide a selection of titles from Asian countries of origin as prizes in this contest. So, you have until the end of the day Friday, February 23 to get your submissions in to daddyinastrangeland@mac.com, with an Amazon link, whatever name you want to be called, and your URL if you have one. Winners will be announced on Monday, Feb. 26. Again, multiple submissions are welcome, but each reviewer will only be put in the drawing once. We can't wait to read and share your book reviews here, and thank you for helping us celebrate our birthday! Congratulations Rice Daddies! You've come a long way, baby. It's so neat to have followed your progress from little known blog to the big Asian American sensation that you are today. My husband and I love reading about all the adventures in Daddyhood and look forward to many more years of binkies and boba. Here, here! Happy Anniversary! I remember finding out about you guys from InstantYang's SFGate.com column and being hooked the day I read some of your posts. Have no Fear, Monster Daddy is Here! And the winners are... Crap. Not us. Oh well.